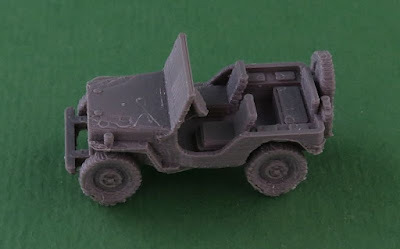 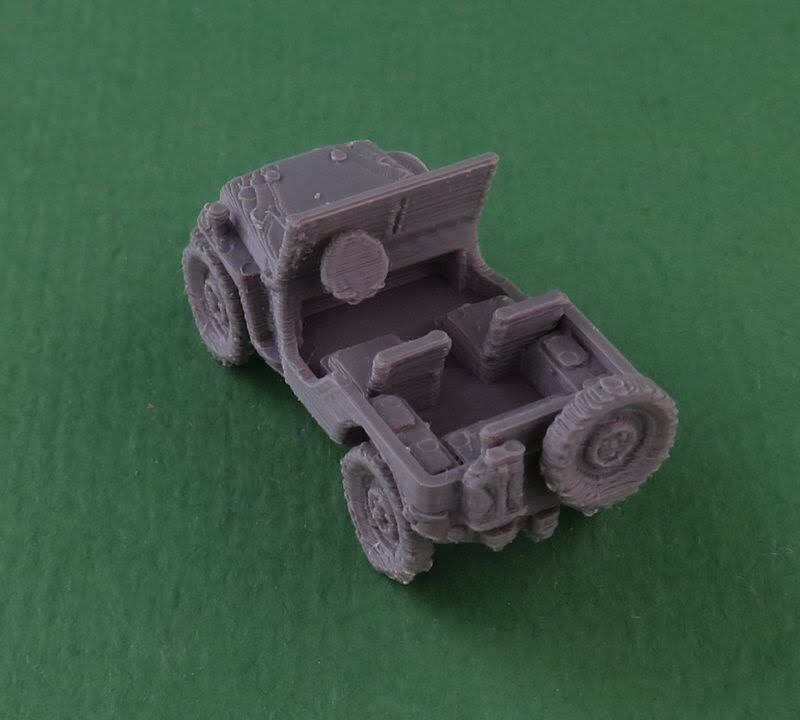 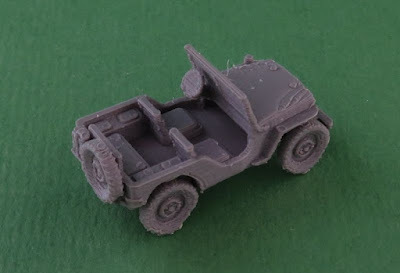 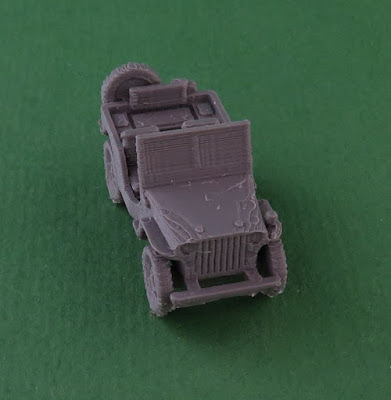 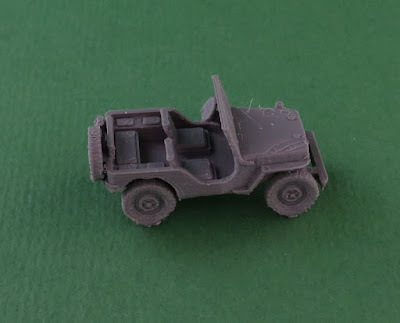 One World War II Willys MB Jeep. Available in 6mm (1/285), 12mm (1/144), 15mm (1/100), 20mm (1/76) and 28mm (1/56). 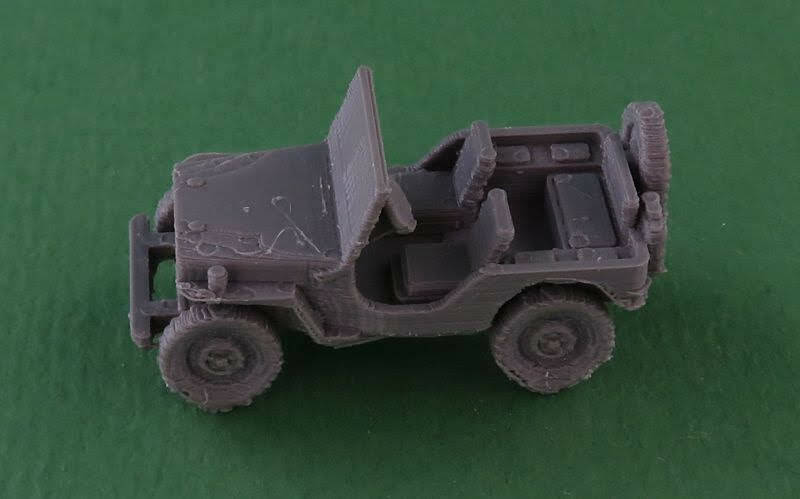 The Willys MB and the Ford GPW, both formally called the U.S. Army Truck, ​1⁄4 ton, 4×4, Command Reconnaissance commonly known as Jeep are off-road capable, light, military utility vehicles that were manufactured during World War II from 1941 to 1945 for the Allied forces.